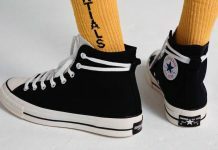 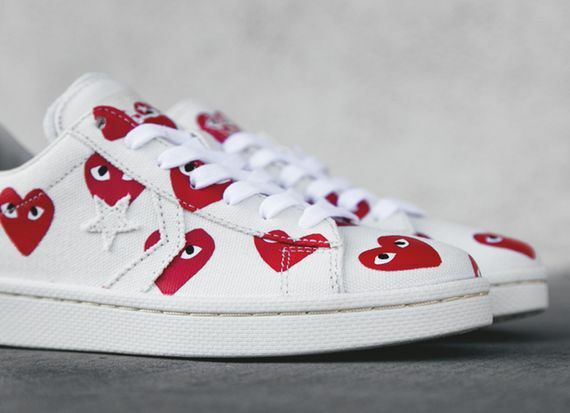 Comme des Garcons PLAY have let their chicken pox CDG heart logo spread to yet another Converse silhouette, this time infecting the classic Pro Leather Low. 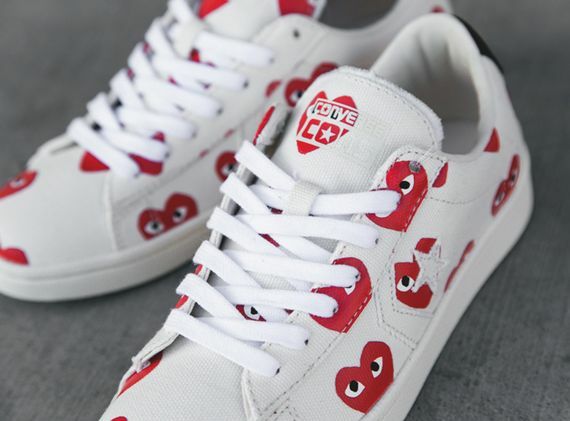 Don’t let the name fool you, these killer low tops are constructed out of an entirely canvas upper that, in white, stands out boldly against the impressively bright CDG PLAY hearts. 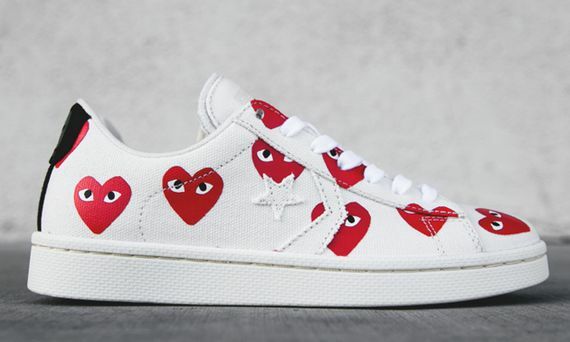 If you’re feeling these you’re in luck as they can be copped now via Feature and End.